While helping patients achieve excellent oral health is our team’s top priority, we also understand that many people are interested in pursuing a more attractive look as well. At Dentistry of Wisconsin, you can find a variety of different cosmetic services that are all designed to effectively treat common flaws and help your smile shine. Our dentists will be happy to help you devise the ideal treatment plan that not only achieves your goals but exceeds your expectations as well. To get started with an initial consultation, please contact one of our two dental office locations in Waupun or Beaver Dam, WI. Porcelain veneers are an excellent method for transforming the appearance of several teeth at once in just a few short appointments. This type of restoration is crafted from highly lifelike dental porcelain and designed to be extremely thin – thin enough that it can be placed over the visible surfaces of your smile. All at once, years of imperfections will be safely hidden behind a new look that’s durable & functional. 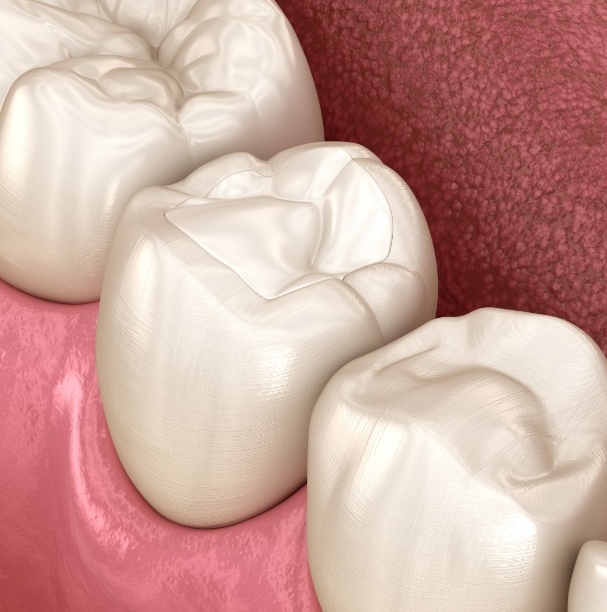 When rebuilding a broken or incomplete tooth, our team believes that patients shouldn’t have to choose between improving their health and sacrificing their natural appearance. That’s why Dentistry of Wisconsin primarily offers metal-free ceramics for new dental crowns, inlays, onlays, and other restorative solutions. This material is highly aesthetic and will blend in beautifully alongside the rest of the smile – it even has the same translucent qualities as tooth enamel. The lack of dark-colored metals also makes it more comfortable. Even the smallest smile imperfections can grab your attention in the mirror or in photographs. 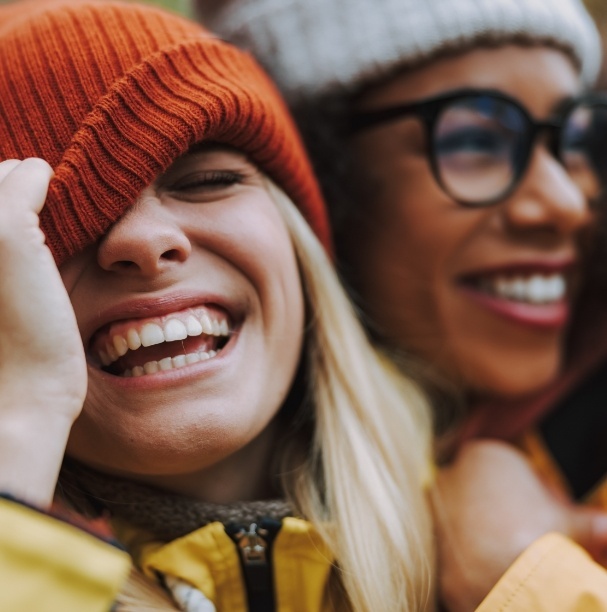 If you’re tired of noticing chips, gaps between teeth, or dark spots, direct bonding is one of the fastest ways to hide the damage behind a new, revitalized look. 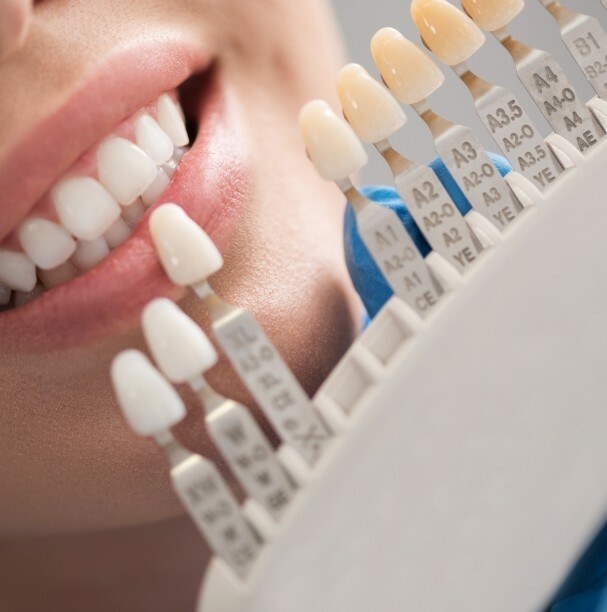 This process will only take a single appointment of your time in most cases – one of our dentists will apply tooth-colored composite resin (precisely shaded to match your smile’s natural color) to the requested area and sculpt it into a pleasingly subtle addition. Coffee, wine, old age, genetics – there are several factors that can contribute to teeth becoming stained and discolored over time. Thankfully, it doesn’t have to be permanent! Take-home whitening kits are available at Dentistry of Wisconsin for convenient use, and they’re much more powerful than anything you’d find at the local pharmacy. After just a few weeks of diligent use, patients can look forward to enjoying a smile that’s several shades brighter. 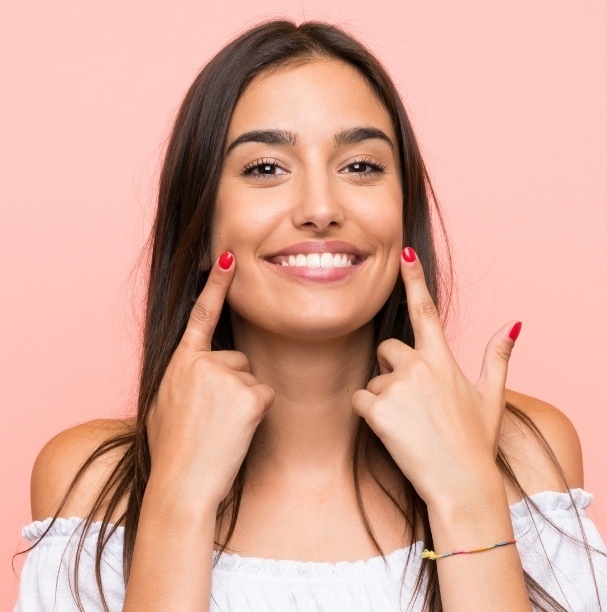 If you feel that your smile is overly short, uneven, or “stubby,” aesthetic gum recontouring may be a worthwhile service to undergo. 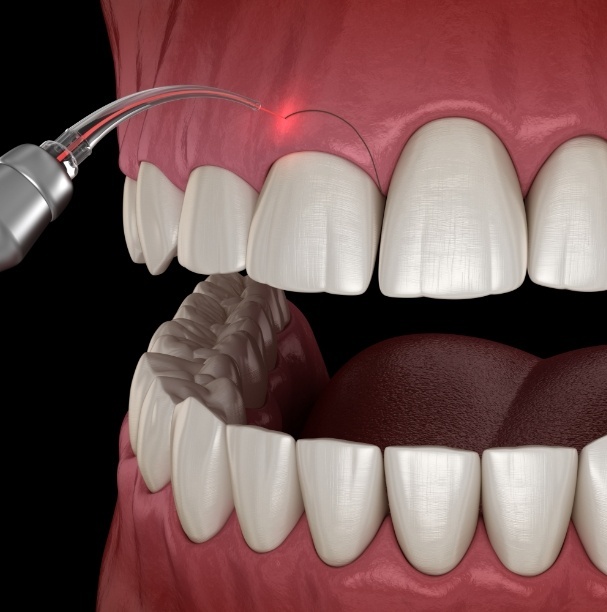 During this procedure, our dentists will carefully and precisely eliminate any unnecessary gum tissue from the mouth, sculpting the gum line into a more pleasing and balanced shape that reveals more dental structure. Better yet, we use a state-of-the-art soft tissue laser for added comfort and a much faster recovery period – most of our patients don’t even need local anesthesia!